After arriving in Dublin Airport and meeting your driver, you’ll spend the first day exploring Dublin city. Drive through the city, stopping to visit Trinity College, Christchurch Cathedral and St. Patrick’s Cathedral, three buildings closely intertwined with Irish religion and spirituality. 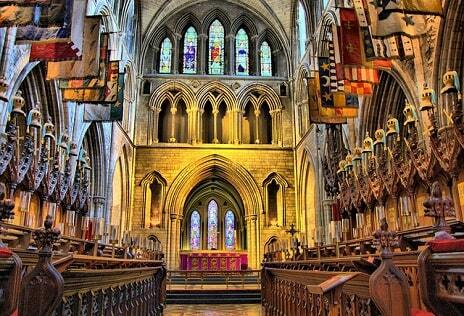 See the Book of Kells and explore the underground crypts of Christchurch, an interesting and enlightening experience. Head towards Wexford today, where you’ll get to experience the fabulous Wicklow Mountains National Park, home to Glendalough. 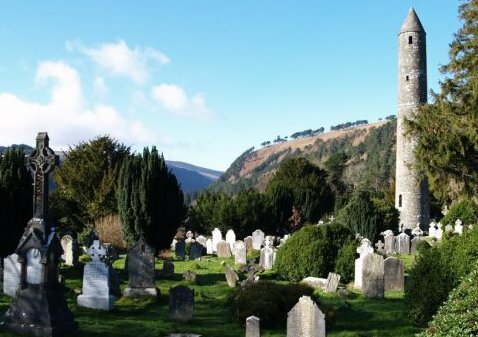 Glendalough is famed for its monastic site and round tower, symbols of the strong belief in religion in 6th century Ireland. Afterwards tour the gaol in Wicklow, before attending Mass in a local church. Today is devoted to exploring Waterford, beginning with a visit to Waterford Crystal where you can learn more about the crafting process and maybe buy a souvenir! 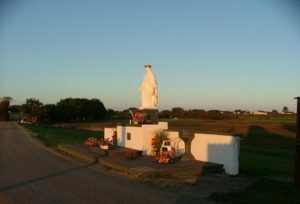 You’ll also visit Our Lady’s Island, a sacred and beloved place of pilgrimage in Ireland. You’ll take a tour of the island and the guide will arrange for a Mass to be said for you. Depart for Waterford City afterwards. Make a move for Kerry today, beginning with a visit to Blarney Castle. 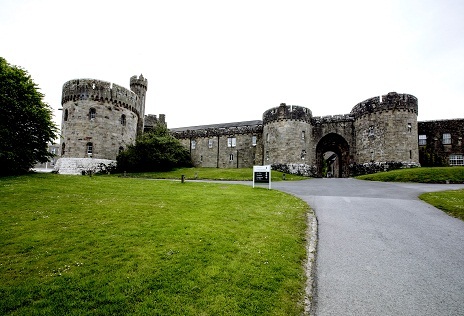 Kiss the famous Blarney Stone and tour the castle grounds before moving on to Millstreet, where the Tubrid Holy Well resides. The well is incredibly important to the Catholic community of the area, and legend has it a fish appears in there on occasion! Afterwards, travel on to Killarney, a charming town in Kerry, where you are free to explore and eat. Day 5: The Ring Of Kerry – What A Treat! 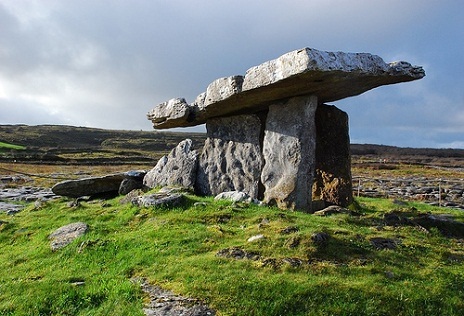 Explore the wonderful scenery of Killarney as you drive around the famous Ring of Kerry. The road winds between the Macgillycuddy’s Reeks, Ireland’s highest mountains, and the varied Atlantic coast. Take some snaps at Torc waterfall and stop for a stroll through Muckross Friary. Founded in the 15th century, this Franciscan friary is preserved to a high standard. It was built using local limestone. Overnight in Killarney, Bed & Breakfast Included. Head to Glenstal Abbey, where you’ll take part in a spiritual retreat and Meditation Day courtesy of the monks who reside in the Abbey. The Benedictine monastery sits on stunning grounds, surrounded by streams, trees and greenery. You are free to spend the day getting in touch with your spirit – sit in on Mass and other services before leaving for Ennis in Co. Clare for your next overnight. You are especially welcome to join the community at times of prayer and for mass, though you may visit the Church at any time. Continue onward to Ennis in Clare. Ennis is a great town to enjoy the good Irish food and drink a pint of Guinness. Overnight in Ennis, Bed & Breakfast Included. 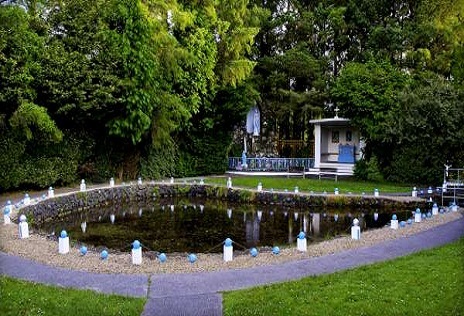 Discover Co.Clare today, with the first stop of your list being St. Brigid’s Holy Well. The well is an important place of Catholic pilgrimage and many visitors leave trinkets and mementos there, making it an interesting place to explore. Move on to the fabulous Cliffs of Moher, a must-see Irish attraction, before finishing up with a trip to The Burren. 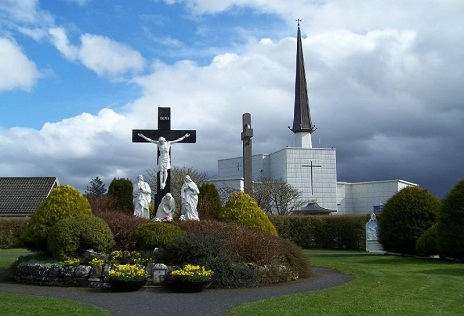 Travel to Knock in Co. Mayo, the National Marian Shrine of Ireland. Knock is famed for its apparitions of Mary, and is a wonderful place to tour and explore. Afterwards you may take a trip to Croagh Patrick, another important pilgrimage for Irish Catholics thanks to its connection with St. Patrick, our patron saint. Overnight will be spent in Mayo. It was on the summit of the mountain that Saint Patrick fasted for forty days in 441 AD and the custom has been handed down from one generation to the next. Overnight in Mayo, Dinner, Bed & Breakfast Included. 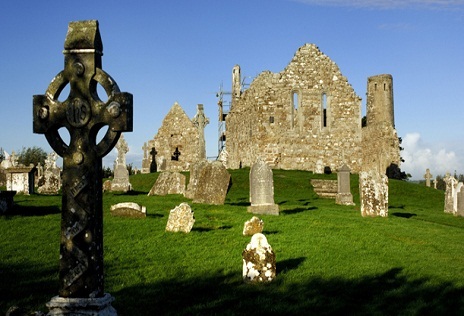 Return to Dublin to enjoy the last day of your trip, stopping off at Clonmacnoise Monastery on the banks of the River Shannon. 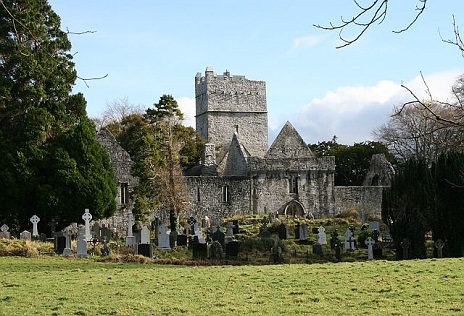 The monastery is dated back to 545 AD, when it was founded by St. Ciaran. Finish out the drive to Dublin city and spend your last day exploring the capital before resting up for the journey home. Today you’ll return home. We have arranged transport to Dublin Airport. 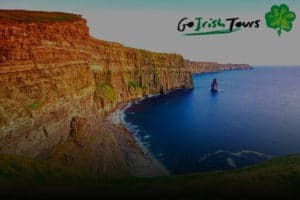 Go Irish Tours reserves the right to substitute visits, entertainment and other features when cannot be visited for reasons beyond our control.